Immediately after launch, Arvind Kejriwal discovered a scam within his own party, Aam Aadmi Party (AAP). "Yes Ram Sharan was involved in a big broom scam of Rs 1500 which I discovered just today morning. I have suspended him for indefinite time and appointed a Manish Sisodia led commission to inquire him," said Aam Aadmi Party promoter Arvind Kejriwal in a packed Press conference. He said "Ram Sharan inflated figures of brooms by at least 40% to 60% during last 1 week. AAP paid Rs 1500 more for buying brooms. While it was Mr. Sisodia who brought everything to my notice, I took no time to suspend him. I can't tolerate indiscipline and corruption in my party." According to sources, the cost of a generic broom is around Rs 50, however Ram Sharan, the lead sweeper of the Party Office said to have paid 70-80 rupees per broom. Manish Sisodia and Prashant Bhushan confirmed the scam by visiting Delhi market and took the note of the prices. "Actually, if we make online shopping we get more reasonable rates. Many online marketers sell these brooms at Rs 40-43 which would unreasonably inflate the prices," said Prashant Bhushan. Ram Sharan, however, denied any allegations and said he is innocent. "Hum kaa kare. Hum kaa unhi paisan maa jhaadu mile rahe hai," said Ram Sharan. 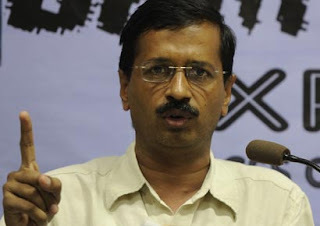 The scam drew attention of Congress and BJP which asked detail inquiry about AAP under CAG. "I am sure that the party may be involved in more such scams such as Chair scam, desk scam and what not. I think at least a corruption of 20-30000 is possible in AAP," said senior Congress leader, Digvijay Singh.